AUD 2,638 Excl. Duties / Taxes. This Princess diamond is 0.72 carat in weight, and comes with Good polish and Good symmetry, as verified from an independent gemological laboratory. The diamond is graded E in colour, and has a clarity grade of SI1. The diamond's GIA grading report number is 13221145, which will detail further its specifications and measurements, and will also come with the purchase of the stone. AUD 1,278 Excl. Duties / Taxes. This Princess diamond is 0.48 carat in weight, and comes with Good polish and Good symmetry, as verified from an independent gemological laboratory. The diamond is graded F in colour, and has a clarity grade of SI1. The diamond's GIA grading report number is 2185300984, which will detail further its specifications and measurements, and will also come with the purchase of the stone. AUD 21,999 Excl. Duties / Taxes. This Princess diamond is 2 carat in weight, and comes with Good polish and Good symmetry, as verified from an independent gemological laboratory. The diamond is graded H in colour, and has a clarity grade of VS1. The diamond's GIA grading report number is 10044908, which will detail further its specifications and measurements, and will also come with the purchase of the stone. AUD 6,387 Excl. Duties / Taxes. This Princess diamond is 1.05 carat in weight, and comes with Good polish and Good symmetry, as verified from an independent gemological laboratory. The diamond is graded F in colour, and has a clarity grade of VS2. The diamond's GIA grading report number is 1166404759, which will detail further its specifications and measurements, and will also come with the purchase of the stone. 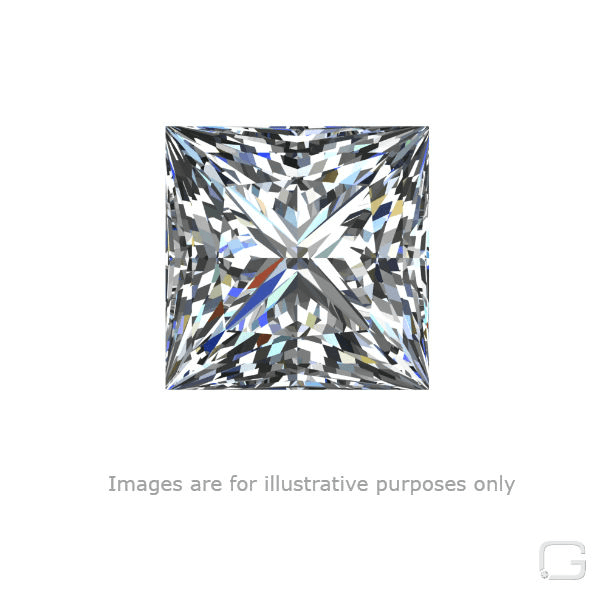 This Princess diamond is 0.7 carat in weight, and comes with Good polish and Fair symmetry, as verified from an independent gemological laboratory. The diamond is graded F in colour, and has a clarity grade of SI1. The diamond's GIA grading report number is 2175380064, which will detail further its specifications and measurements, and will also come with the purchase of the stone. This Princess diamond is 0.72 carat in weight, and comes with Good polish and Good symmetry, as verified from an independent gemological laboratory. The diamond is graded D in colour, and has a clarity grade of SI1. The diamond's GIA grading report number is 10901920, which will detail further its specifications and measurements, and will also come with the purchase of the stone. This Princess diamond is 1.02 carat in weight, and comes with Good polish and Very Good symmetry, as verified from an independent gemological laboratory. The diamond is graded H in colour, and has a clarity grade of VS1. The diamond's GIA grading report number is 2127028943, which will detail further its specifications and measurements, and will also come with the purchase of the stone.